On Sunday, December 6th, head up to Spruce Camp Base Lodge, from Noon-4pm to make free tree ornaments with Kate Morrisey. For more information on these and other activities and events at the mountain, visit stowe.com. Saturday, December 12th, demo skis, and snowboards from some of the best brands in the industry. Trying equipment before you buy is the best way to go! As a kick off to the holiday season, On Saturday, December 19th, the new skating rink at Spruce Peak will be unveiled at 1:00 p.m., along with a tree lighting ceremony and other activities to ring in the holiday season. for more information you can go here. Saturday, December 19th - Sunday, December 20 - the 3rd Annual Artisan Craft Show will take place at Spruce Peak. Vermont's finest artisans will be gathering in the new pavillion building to display their crafts, providing great holiday gift choices to purchase. 2015 Stowe Derby - Epic! Yes, it was epic! With 7+ inches of new snow, the night before, the 2015 Stowe Derby was unlike any other. 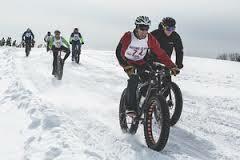 Particularly with the addition of the fat bike class this year. Nearly 100 riders were added to the roster of over 600 nordic skiers. The light stuff that fell is hard to pack down before the first racers go off, thereby making for lots of falls, faces full of snow, and great photography! Unlike most of the rest of the winter, the temperature was perfect - in the 20s. The skate skiers started at 10:00 a.m., in waves of 5 at a time, every 30 seconds. By the time the classic skiers went, there were body divots up and down the trail on both sides. The conditions were perfect for alpine skiers, but much more challenging for the nordic skiers, and nearly impossible for the fat bikers. 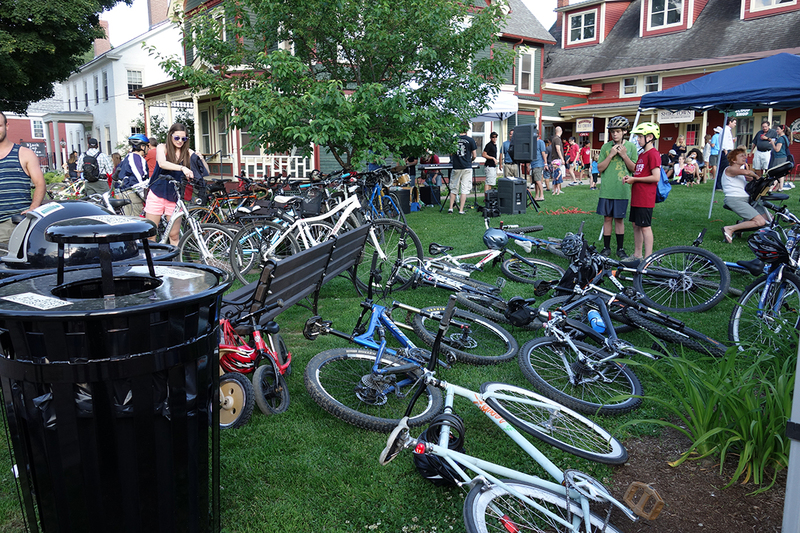 After the race, hundreds gathered at Sushi Yoshi to share tales about bruises, broken skis and ski poles; and this time, busted bike chains and wheels. 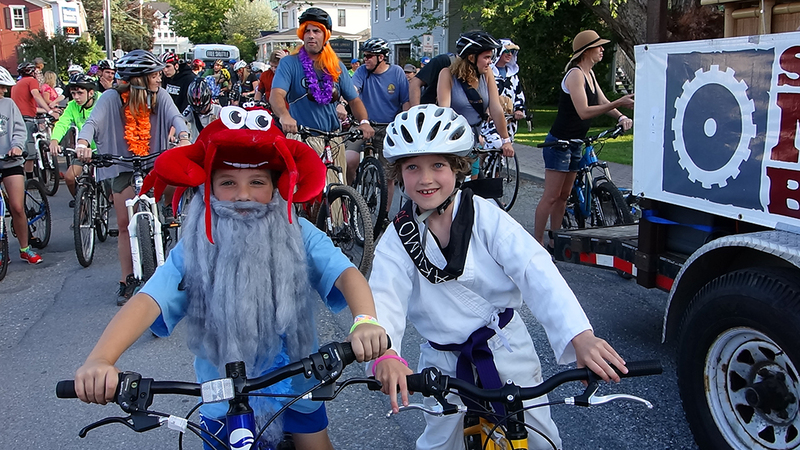 Many of the fat bikers said they pushed their bike more than they were able to ride. It wouldn't be the Derby without something new to talk about. The 70 year old event is not for everyone, but even those who do not participate, love either spectating, or hearing about it afterwards. To see more photos of from the day, visit Mike Hitelman Photography. 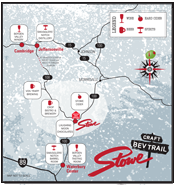 On February 22nd, the Stowe Derby is celebrating its 70th year of the most talked about and unique cross country ski race in North America. What makes the 20k race unlike any other is that it starts with a 6k downhill (vertigal drop of 2,600 feet), from the top of the Toll Road on Mt. Mansfield. After navigating the twists and turns, and hairpins, the race enters the Mt. Mansfield Touring Center, where the climbing begins. Up to as many as 900 racers will be vying for place or pride, as they try and beat the clock all the way into the village of Stowe on the groomed rec path. This year, for the first time, a new category has been added to the fun. 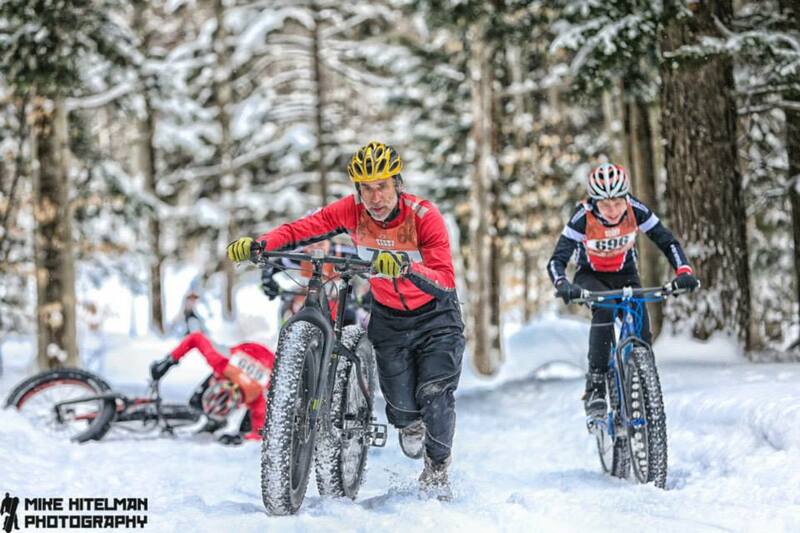 Fat bikes will be allowed to compete for the first time. There are only 100 slots for the riders, which have almost been filled. 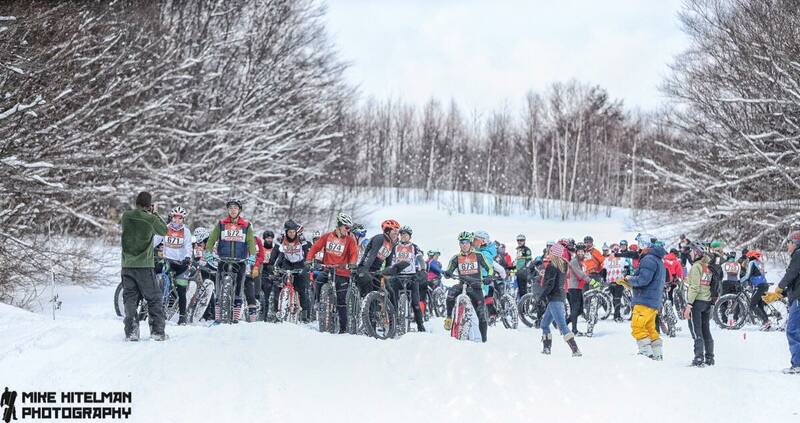 After the skate and classic skiiers have finished, the fat bikers will begin just above the touring center. Depending on conditions, the best skiers will finish in about 45 minutes. Some taking up to as much as 2 hours. We will know after the 22nd how fast the fat bikers will be. If the snow and winter conditions continue as they have, this should be one of the best years ever. If you're considering signing up for The Derby, you can go here. If racing is not your thing, this is one of the best events to spectate. One of the most exciting viewing locations (and easy to get to) is at the top of the power line in the Mt. Mansfield Touring Center. That's where one of the trickiest turns is, hence lots of whipe outs. So, no matter your interest, join the fun on February 22nd, including the after party at Sushi Yoshi, on the Mountain Road. 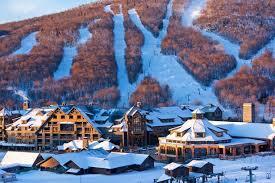 Theres no shortage of things to do in Stowe in the Summer. Since there is so much to choose from, perhaps a brief run-down of whats happening will help to organize your summer calendar. The weather here has been fantastic, particularly on the weekends which has allowed for the undertaking of multiple events. The 4th of July weekend festivities were enjoyed by more locals and visitors than ever, and the sound of fireworks seems to still linger after sunset. Coming Up: July 11-13 Hot Air Balloon fest, and Stowe 8-Miler (Sunday at 9 a.m.) July 19 Stowe Land Trust and Stowe Mt. 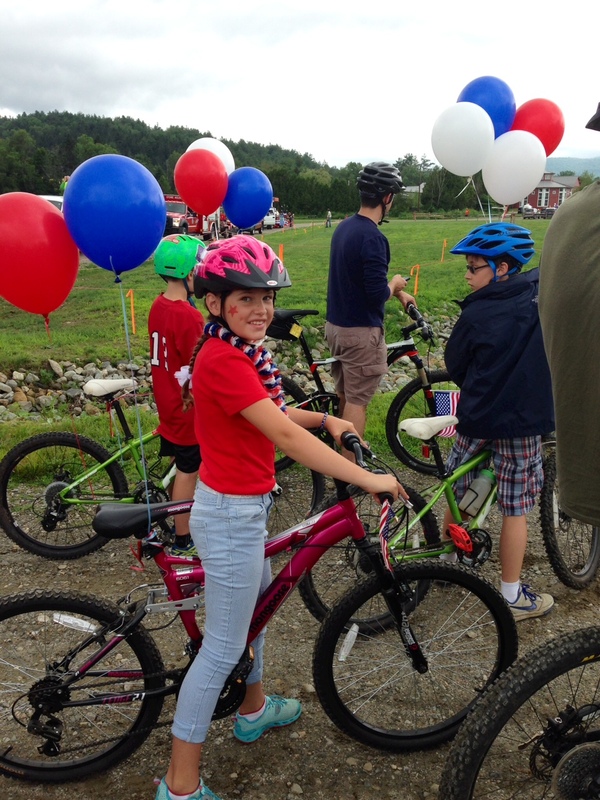 Bike Club Hike or Bike at Adams Camp in the Ranch Valley July 20 Trapp Family Lodge Concert in the Meadow series: Quinn Sullivan, young blues guitarist July 19-20 and 26-27 Stowe Lacrosse Tournament August 8-10 Stowe Antique Car Show August 15-16 3rd Annual Celebrate Vermont Festival featuring the food, farms, forests & markets that help to create a sustainable Vermont. August 25 6th Annual Race to the Top of Vermont Ongoing: Stowe Farmers Market every Sunday from 10:30 to 3:00 in the Red Barn Shops meadow on the Mt. Rd. Helen Day Outdoor Art show - Exposed: A unique outdoor sculpture gallery exhibits art all over Stowe. Through October. 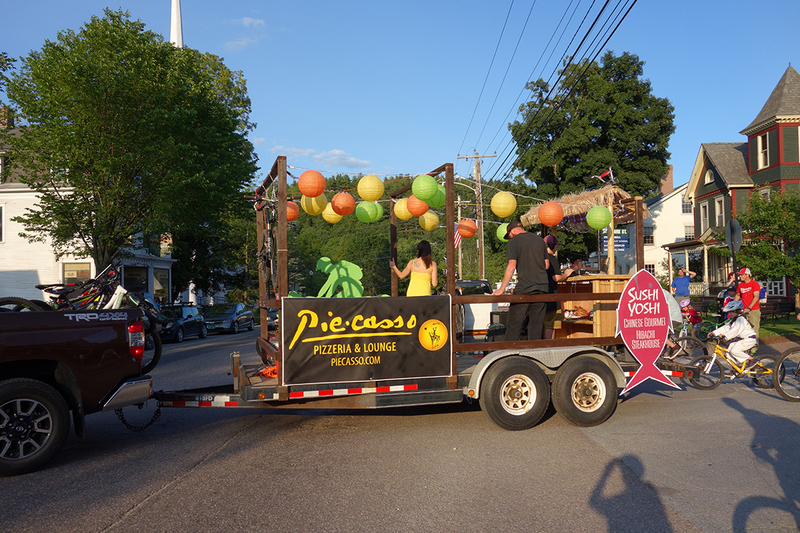 Art in the Park: Vendors, food and music every Thursdays from 5-8, Park St. June - August For more detailed information on these events, and more, visit gostowe.com. No matter what your plans, have a great summer!